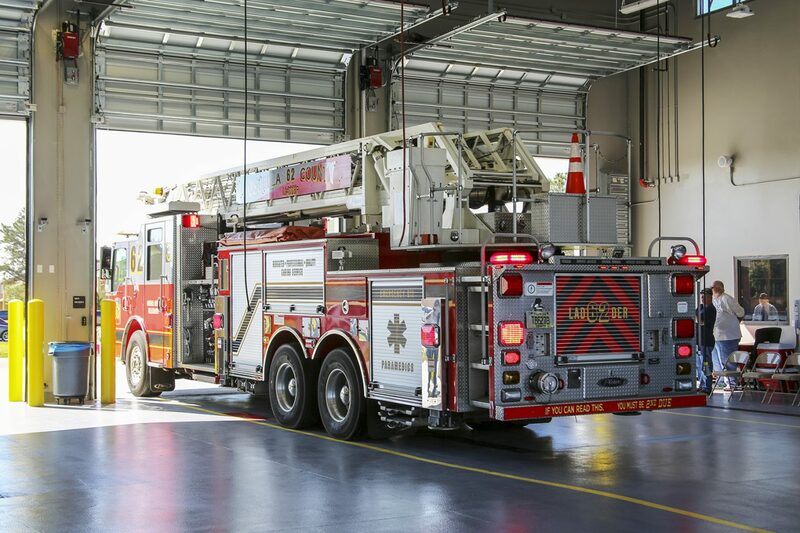 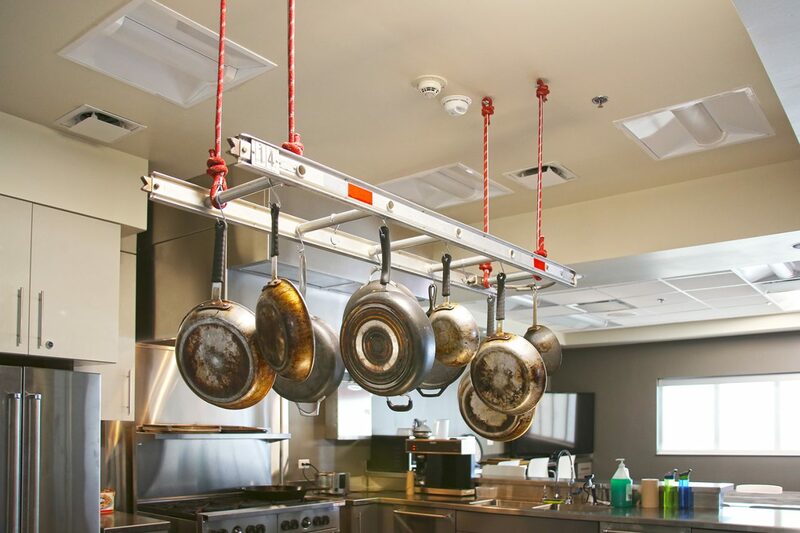 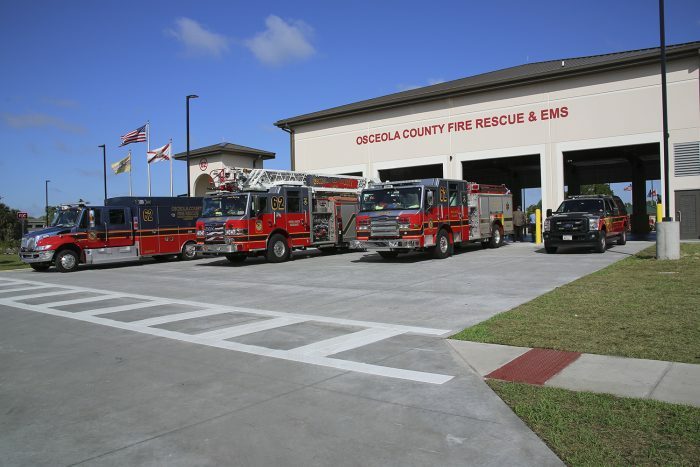 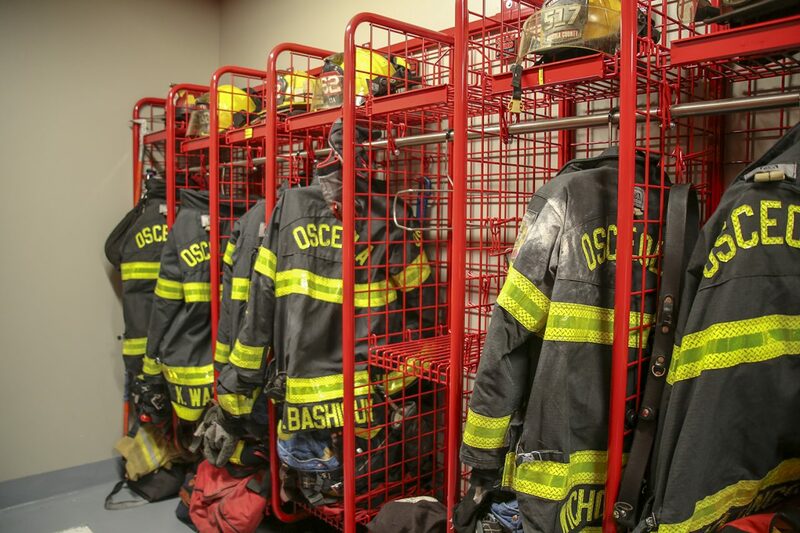 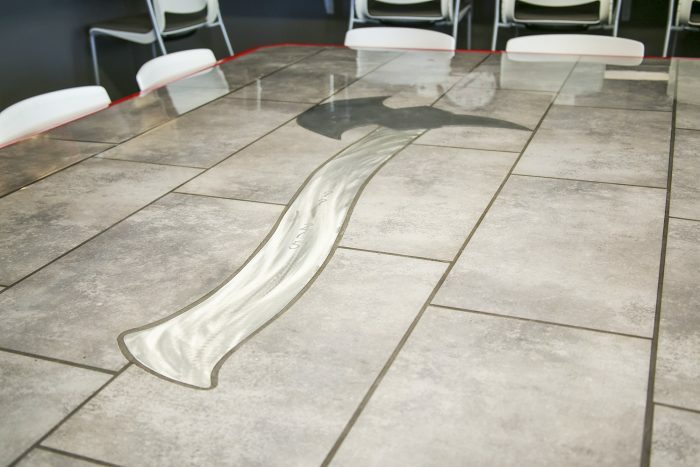 Osceola County Fire Station 62 and 65th Infantry Park | Wharton Smith, Inc. 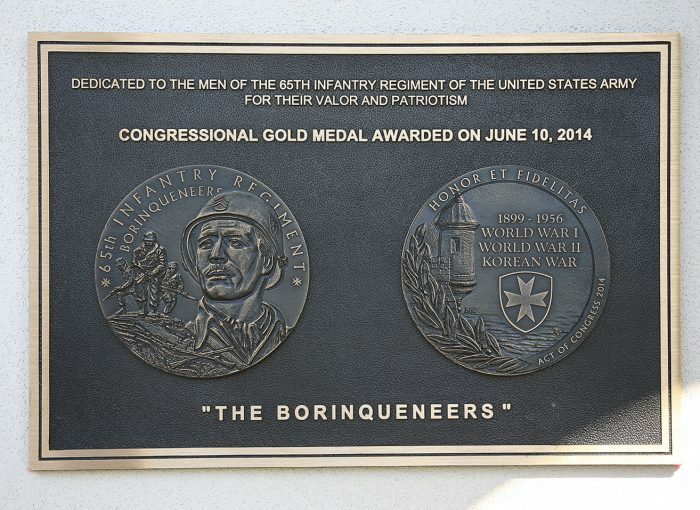 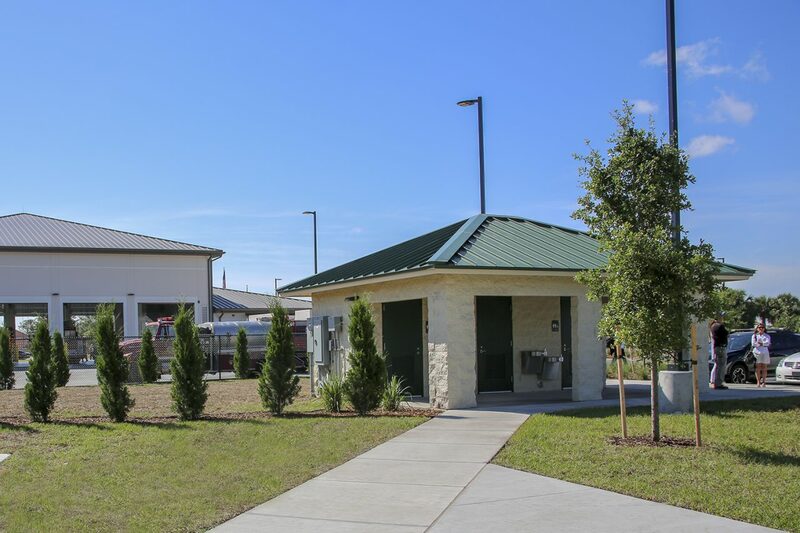 The new Osceola County Fire Station #62 and 65th Infantry Veterans Park not only serves as a hurricane hardened first response facility, but also pays homage to the deserving heroes of the 65th Infantry Regiment known as the Borinqueneers. 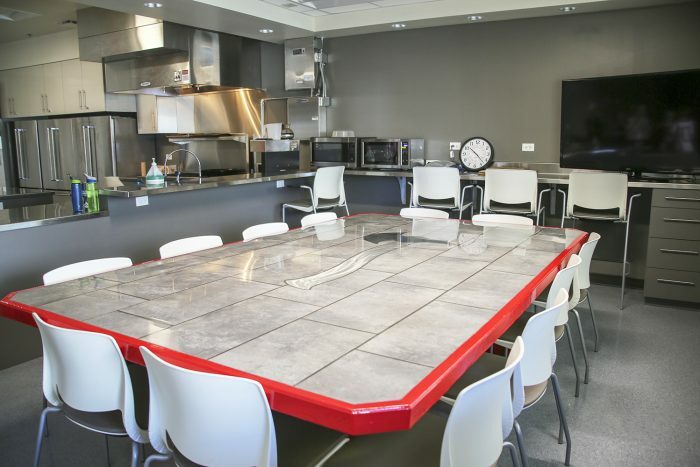 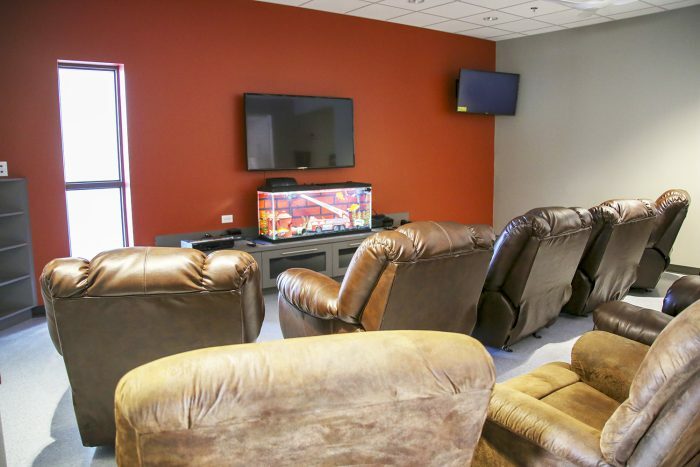 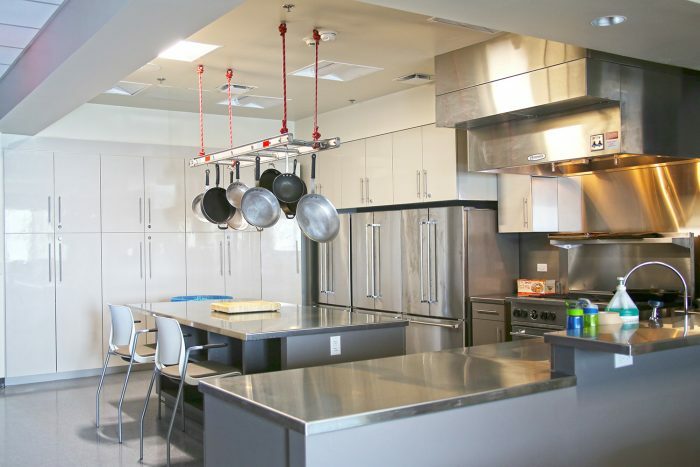 The four-bay station is a 24-hour operational facility with accommodations for three, 12-man shifts including a state-of-the-art kitchen, break area, living quarters, training space support areas for the Chief, Lieutenant and crew, and a community room that can be used for small group meetings. 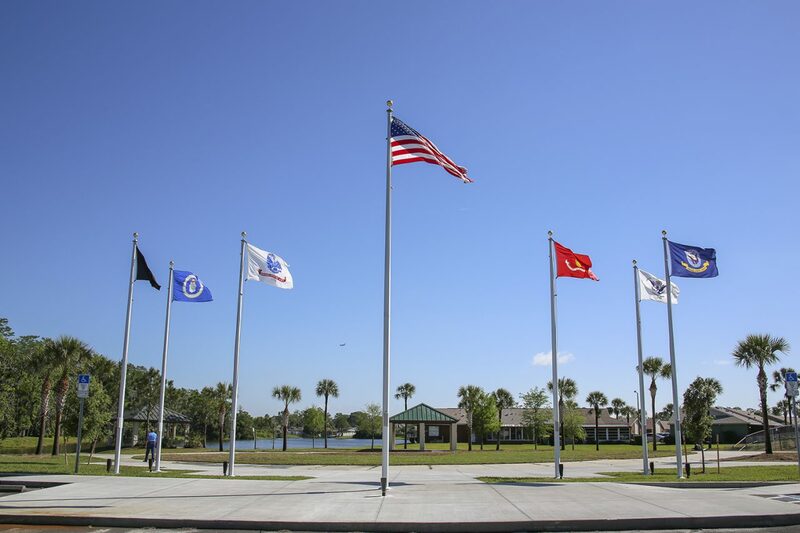 The project also included upgrades to the adjacent 65th Infantry Veterans Park including expanded parking, a new restroom, two new park pavilions, a performance stage pad with power and data, new LED site lighting, sidewalks, and drainage. 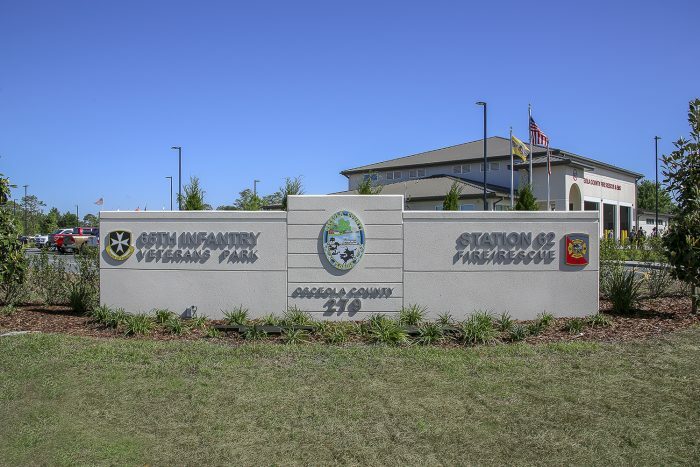 The Fire Station and Park are both dedicated to the 65th Infantry Regiment, nicknamed The Borinqueneers, which was a regiment of Puerto Rican soliders that fought for the United States in World War I, II and the Korean War.